Having twins is an amazing, beautiful, chaotic, and challenging blessing. Before I had my girls, I didn’t realize that something that I loved so much could also cause me this much stress. 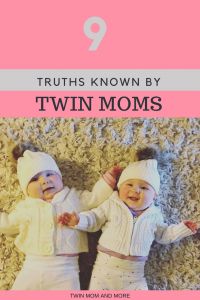 I also learned that being a twin mom is like being in a special club. I had a friend once who drove a jeep, and he told me that everytime two jeeps passed, the drivers would acknowledge each other with a peace sign. I’m not sure if this is true, or if it’s something he just made up but it’s akin to being a twin mom. 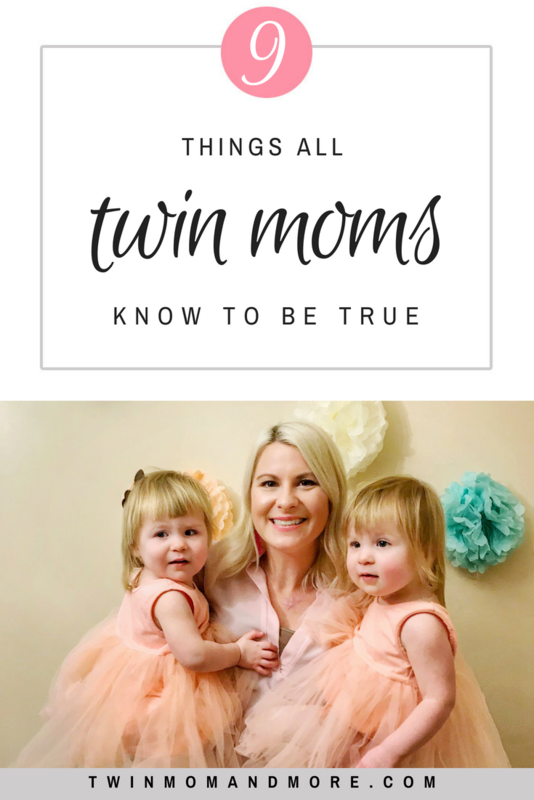 Every time I see a fellow twin mom, we exchange looks, because we just know. We are part of the same sisterhood. 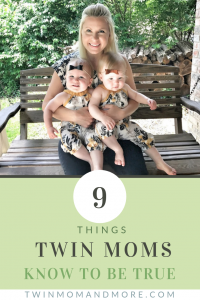 Today, I have for you 9 truths that all twin moms know. We were out for dinner for my Birthday when I was pregnant with our twins. Our waitress was asking me about my pregnancy, and upon finding out we were having twins, proceded to ask me if they were conceived naturally or via fertility drugs. I also had an older gentleman ask me the same question and proceed to tell me that his daughter did IVF, was pregnant with twins, and lost one. This was while I was pregnant!! SO NOT OK. I get that people are curious… but can you even imagine asking someone who’s pregnant with a singleton if they used fertility drugs? It’s not appropriate with one baby and it’s not appropriate with two babies. Two swings . Two cribs . Two bouncy seats . Two high-chairs . Boxes upon boxes of diapers . 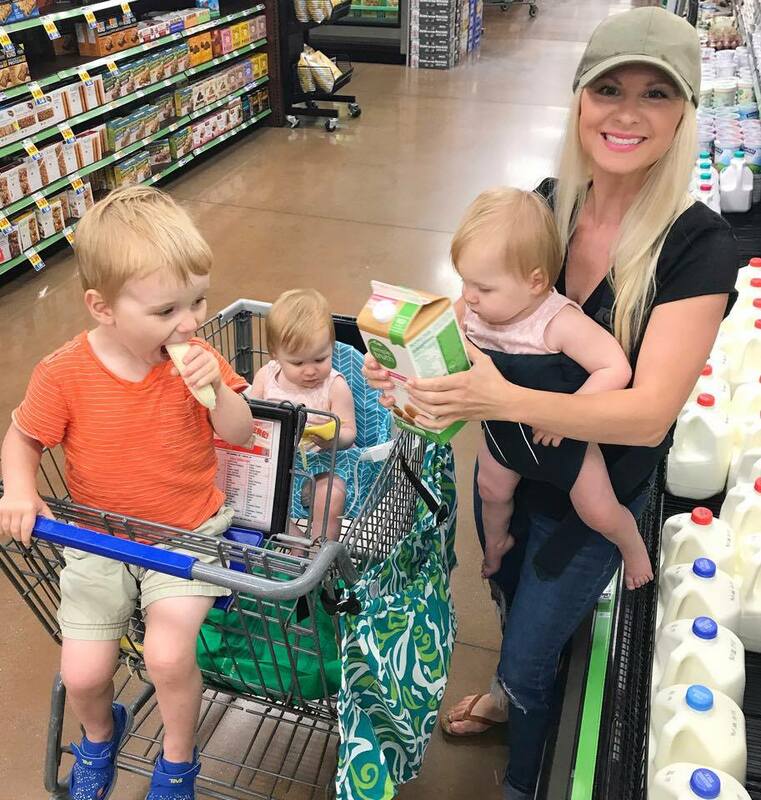 Since my son had just turned two when our twins were born, I actually got to experience the joy of having three in cribs, high-chairs, AND diapers for just about an entire year. As someone who likes their house to look pretty, I had to get over it pretty quickly and embrace the full-on daycare look. It’s only a season! With my singleton, I remember carefully crafting quinoa-kale burgers for lunch… and my house was clean enough that he could eat said burger off the floor if he so desired. Post twins, we are in a rotation of PB&J and Mac & Cheese… with some carrots and cucumber thrown in for good measure so I don’t feel like a total slacker. And as much as I love cleaning my house, I have twin toddlers who love destroying things, so. I would not suggest eating off my floor. I was talking to Theo, my singleton, a few days ago. I asked him if he knew what it was called to have two babies at once.”Twins, like we have!” he exclaimed. He then wanted to know what it was called to have three babies, four babies, and just one baby. My husband about rolled his eyes back into his head when I told our almost four-year-old that he was a singleton. Once your babies become mobile, your life changes… like, completely. I remember taking my three to the park shortly after the girls had started moving. They weren’t even walking, they were just crawling. I was hoping they would be OK to sit in the stroller and watch their big brother, but I was totally wrong. They screamed their cute little heads off until I let them out. As soon as they were free from the stroller, they both climbed to the top of the play structure, with me carefully behind them. Once they got to the top, they both split up and went crawning (that’s a word I made up for babies that crawl but it’s so fast it’s like they’re running) in opposite directions. Now, when we go to the park or someplace where our twins aren’t contained, my husband and I will shout back and forth to each other. “My baby’s heading to the swings. Following her. Do you see your baby?” I feel like I’m in that pose that runners are in to start a race, bent down, ready to sprint after a runaway toddler at any second. When my sister and brother in law came to visit and met our twins for the first time, they were asleep in their car seats. When they both woke up at the same time, my brother-in-law was in the room, so without even looking, I handed him a baby. A few minutes later my sister-in-law saw him with a baby and said: “hey, how did he get to hold her first?” Um. He was within arms reach. 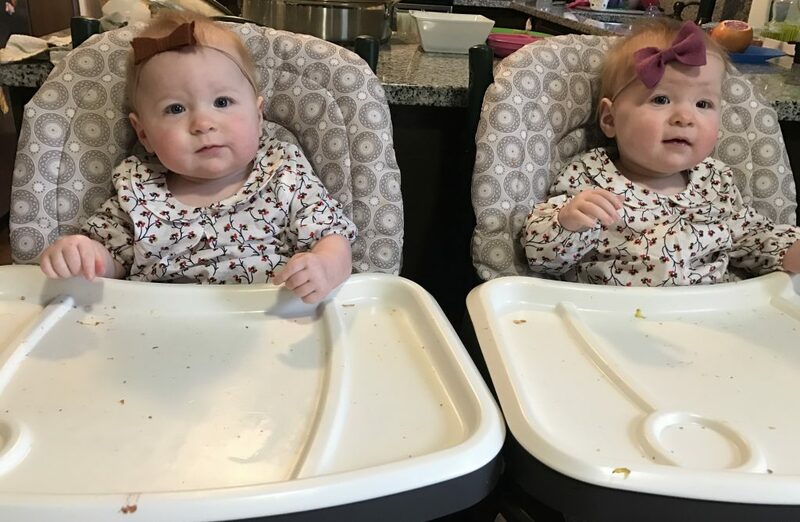 I was told this by at least three different people before I had twins and I didn’t imagine how that was even possible. Sure, having a baby is hard because you can’t sleep. I figured that once they started sleeping through the night, life would get a bit easier. I couldn’t have been more wrong. 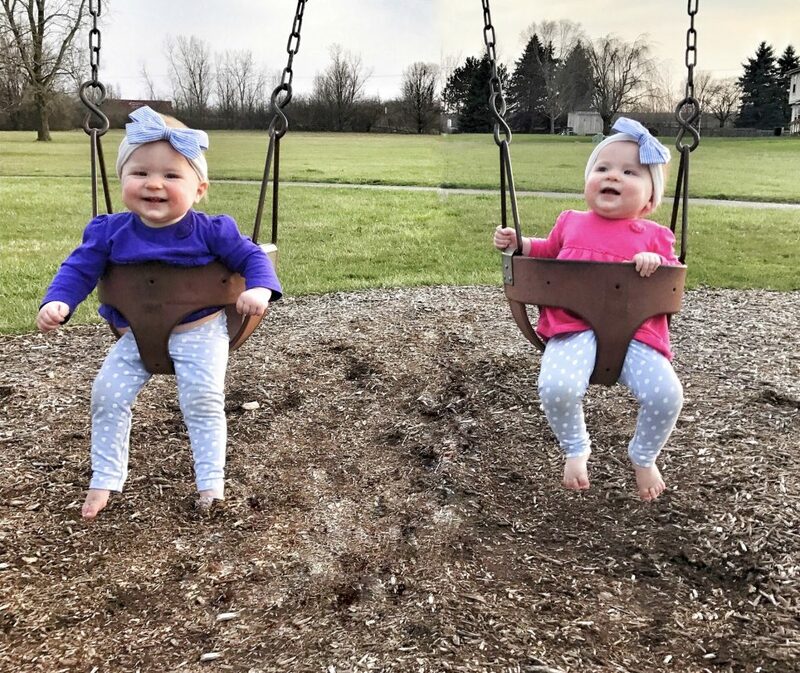 My girls will be two in February, and I haven’t reached a point where it’s become easier… but I have gotten better at handling it. 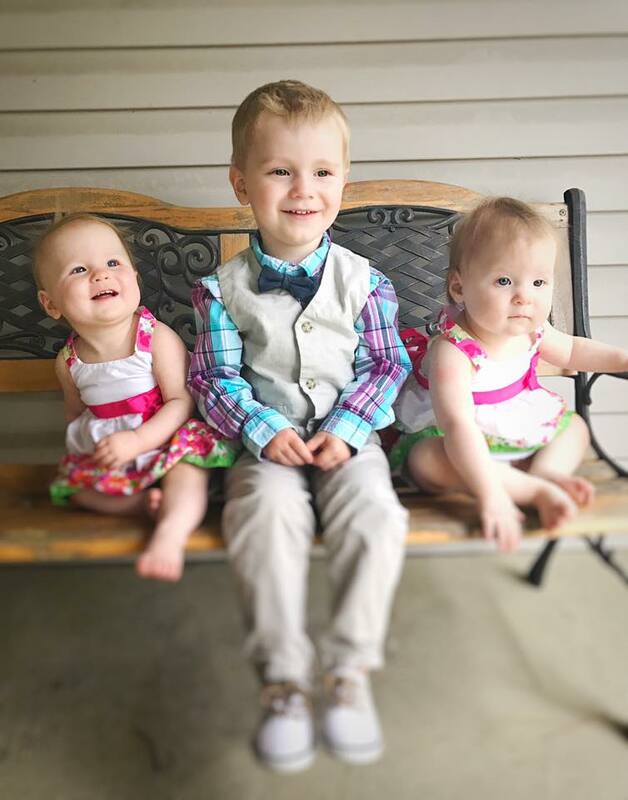 When my girls were 12 months old, they were receiving early intervention. Their therapist was a twin mom herself. I told her that I didn’t think my girls liked each other. “They don’t babble to each other, play together, smile, or anything! All they do is steal toys from each other!” I told her in dismay. “Well, of course, they like each other,” she responded. “Are they together a lot? They’re too young to play together but pay attention. They’re always near each other each other. 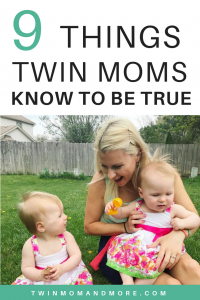 Bonus twin mom truth? All the chaos, mess, stress… it’s all worth it. 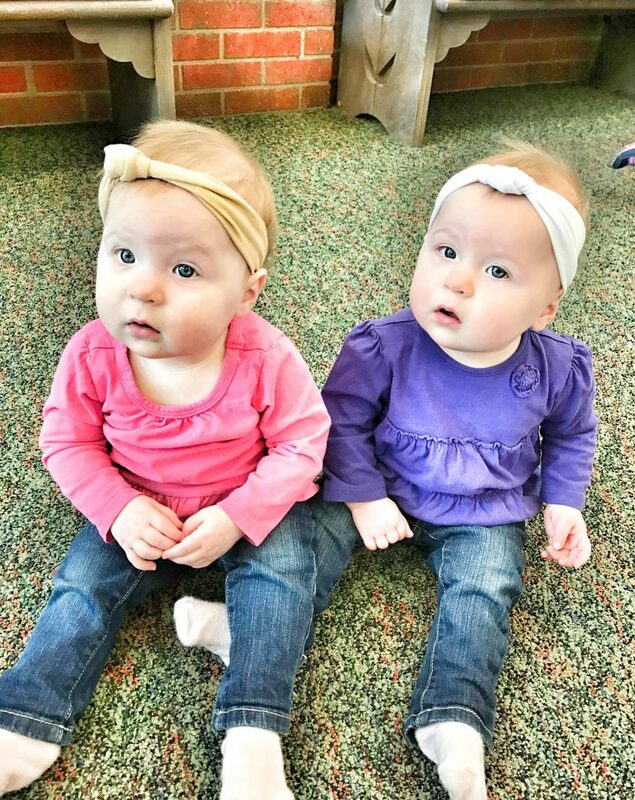 Follow me on Instagram for twin cuteness!